Willow Garage’s PR2 robot can fold your clothes and do other nice chores, but it has just added another trick to it’s resume. 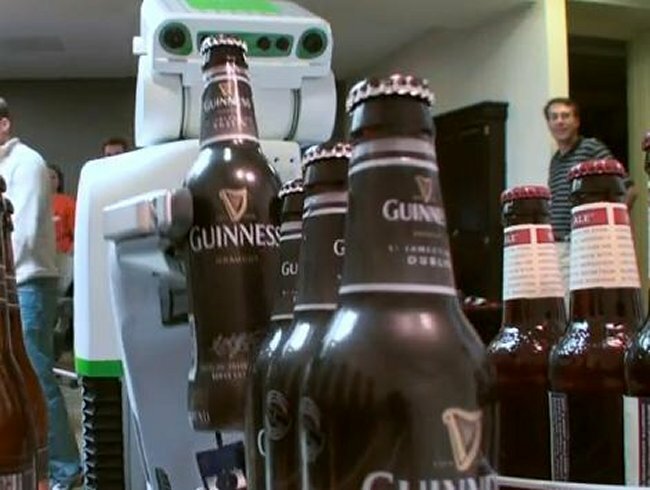 The PR2 robot will now refill your empty glass the moment you empty it of beer. Cornell University’s Personal Robotics Lab trained this PR2 robot from Willow Garage to do just that. It is assisted in this task by a Kinect 3D camera and a database of 3D videos. In the future, you will never have to be without a mug of beer ever again. Forget heading to the pub. Just sit home and enjoy yourself. That scenario may be years away yet, but this is the first step toward a home bartender who waits and pours when needed.